Peifan Lei, the last year’s runner-up met his opponent and the title defender Muhammad Naseem Akhtar in the quarter-final. Though he has taken a sweet revenge of his previous year’s defeat but must admit today’s match remained one of the best matches of this championship. All seven frames were played in the match and went till the last ball. 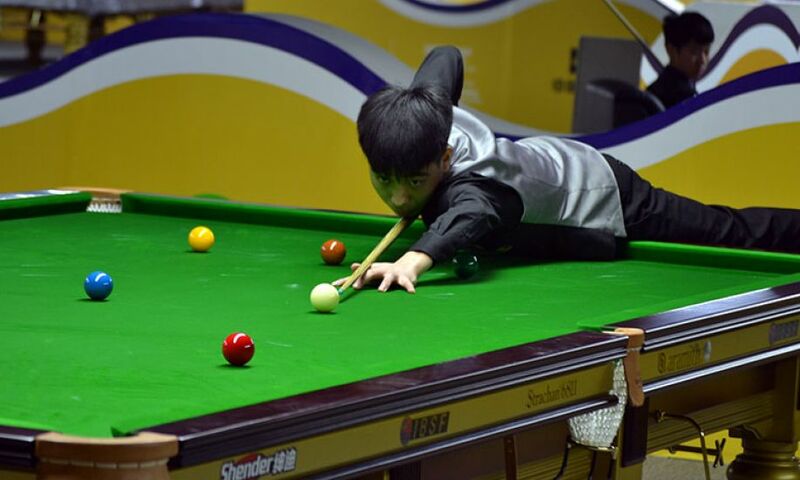 Whole match had only one break of 59 points by Peifan but they both won alternate frames to reach the deciding frame. Even at that point of time no one could predict the match winner. As the game progressed, Nadeem had taken a lead of around 30 points when Peifan got a chance. This was certainly his last chance and he played like a champion. Three pots he confirmed completely from out of the proper position to continue on his break. The last green and blue pot must have impressed everyone in the arena. After that he potted the last pink to confirm himself as fourth Chinese player in the semi-final. The semi final will start at 10 AM tomorrow morning.